Have You Posted Your 300A Yet? OSHA requires employers to post OSHA Form 300A, which lists a summary of the total number of job-related injuries and illnesses that occurred during 2018. The form must be posted between Feb. 1 and April 30, 2019. The summary must include the total number of job-related injuries and illnesses that occurred in 2018 and were logged on OSHA Form 300, Log of Work-Related Injuries and Illnesses. To assist in calculating incidence rates, information about the annual average number of employees and total hours worked during the calendar year is also required. If a company recorded no injuries or illnesses in 2018, the employer must enter "zero" on the total line. The form must be signed and certified by a company executive. Form 300A should be displayed in a common area where notices to employees are usually posted. Employers with 10 or fewer employees and employers in certain industries are normally exempt from federal OSHA injury and illness recordkeeping and posting requirements. A complete list of exempt industries in the retail, services, finance, insurance and real estate sectors can be found here. The Bureau of Labor Statistics may still select exempted employers to participate in an annual statistical survey. All employers covered by OSHA need to comply with safety and health standards. All accidents that result in one or more fatalities or in the hospitalization of three or more employees must be reported verbally within eight hours to the nearest OSHA office. Winter weather presents hazards including slippery roads/surfaces, strong winds, and cold stress. Employers must prevent illnesses, injuries, or fatalities, by controlling these hazards in workplaces impacted by winter weather. OSHA and the National Oceanic and Atmospheric Administration (NOAA) are working together on a public education effort aimed at improving the way people prepare for and respond to severe weather. This web page is designed to help businesses and workers prepare for winter weather, and provide information about hazards workers may face during and after winter storms. New resources are available from the U.S. government to help emergency responders and healthcare workers develop specific guidance and training to protect themselves and save lives during incidents involving fourth generation nerve agents, also known as Novichoks or A-series nerve agents. The resources are available on the National Library of Medicine Chemical Hazards Emergency Medical Management (CHEMM) website. After the incidents in the United Kingdom in 2018 involving a fourth generation agent, the White House National Security Council convened a federal interagency working group of experts to identify and develop resources to help the emergency response community prepare for and respond to a fourth generation agent incident if one ever occurs in the U.S. No illicit use or manufacture of a fourth generation agent or other nerve agent is known to have occurred in the U.S., and there is no known threat of nerve agent use in the U.S. The U.S. government used an extensive, collaborative process to develop these resources. The federal interagency working group included experts in medicine, science, public health, law enforcement, fire, EMS, HAZMAT, and occupational safety and health from the Department of Defense, Department of Health and Human Services (Office of the Assistant Secretary for Preparedness and Response, Centers for Disease Control and Prevention, and National Institute for Occupational Safety and Health), Department of Transportation (Pipeline and Hazardous Materials Safety Administration and National Highway Traffic Safety Administration’s Office of Emergency Medical Services), Department of Homeland Security, Federal Bureau of Investigation, Occupational Safety and Health Administration, and Environmental Protection Agency. The group collaborated with stakeholders representing law enforcement, fire, EMS, HAZMAT, and hospital-based first receivers to be sure the new resources meet their needs and can be incorporated into existing plans as part of ongoing preparedness for potential hazards. The resources include the Safety Awareness for First On-Scene Responders Bulletin, a one-page document summarizing symptoms of exposure, protective actions, and decontamination procedures; a Reference Guide with greater detail for HAZMAT response teams; and Medical Management Guidelines to prepare fire, EMS, and hospital staff and guide the medical management of patients. 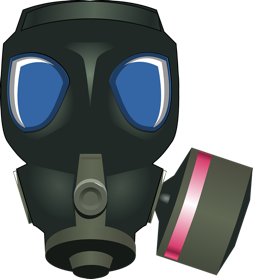 These resources are based on the interpretation of available data on fourth generation agents by U.S. government experts and previously developed federal guidance related to nerve agents. They will be updated as new data becomes available that can further support any response to a potential fourth generation agent incident and help protect responders if such an incident ever occurs in the U.S. Starting January 24, 2019, HIOSH has adopted the following new penalty system for inspections opened on and after January 24, 2019. The National Institute for Occupational Safety and Health, National Personal Protective Technology Laboratory has issued Conformity Assessment Interpretation Notice 2018-1005 Rev 1 regarding facial hair and the selection and use of respiratory protective devices. 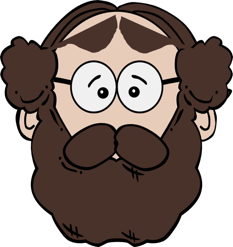 NIOSH published this notice to clarify the October 2, 2006 NIOSH “Letter to all Manufacturers” titled: NIOSH Policy for Respirator Sealing Surfaces and Facial Hair. This revised notice clarifies the NIOSH definition of respirator sealing surfaces, including the primary seal, and facial stubble. This revised notice supersedes the October 2, 2006 letter and the August 2018 version of NIOSH CA 2018-1005. At the request of the National Personal Protective Technology Laboratory and the National Center for Immunization and Respiratory Diseases at the Centers for Disease Control and Prevention, The National Academies of Science, Engineering, and Medicine conducted a study on the use of half-facepiece reusable elastomeric respirators in health care. A pdf version of the prepublication copy of that report Reusable Elastomeric Respirators in Health Care: Considerations for Routine and Surge Use can be downloaded on the National Academies webpage. The U.S. District Court for the District of Connecticut ordered Eastern Awning Systems Inc. – a manufacturer of retractable fabric patio awnings based in Watertown, Connecticut – and its owner Stephen P. Lukos to pay a total of $160,000 to two discharged employees who filed safety and health complaints with OSHA.